When someone asks how house prices are doing in a particular neighbourhood, the question seems easily answered. The big real estate boards all issue monthly price reports that spell out what the average selling price was in the previous month and how that compares to the month, and the year, before. But there's a problem with trying to divine market direction from average price data. It's just too blunt a tool. The average price is the figure obtained by dividing the total dollar volume of sales in a given period by the number of sales. That exact scenario played out with the release of the June sales figures from the Canadian Real Estate Association. Among the ocean of figures CREA released was the fact that the average resale price across the country that month was down 0.8 per cent from the same month a year earlier. It left the impression that prices in the Canadian housing market had dropped compared to the previous year. It turns out that the national average price dropped only because Vancouver's pricey real estate market had 28 per cent fewer sales this June than it did in June 2011. Exclude Vancouver from the national figures and CREA says the average national selling price last month actuallyrose 3.2 per cent. In fact, CREA reports the average home price in June was higher year-over-year in 70 per cent of the local markets it looked at. Average price data within cities are also vulnerable to a shift in the sales mix. What if a huge batch of low-priced condos are snapped up one month? That would send the average price lower, even though the resale market for other types of housing may not have budged at all. So it comes as no surprise that economists who analyze the real estate market hate averages. "Averages are a horrible place to go," says Tsur Somerville, who heads up the Centre for Urban Economics and Real Estate at the University of British Columbia. Gregory Klump, the chief economist at CREA, agrees. Using average prices is "like looking in a funhouse mirror," he warns. Finding the median price, which involves ranking all sales from top to bottom and finding the sale price that's in the middle, is a bit better, Somerville says, but it's still flawed methodology. Like average prices, the median fails to take into account changes in buying patterns. Economists say there are more sophisticated methods that give a better sense of market trends than either averages or medians. More than 15 years ago, the MLS developed its own home price index to get a clearer picture of price trends. It uses a complex statistical model to measure the rate at which housing prices change over time by tracking price changes in "typical" homes in each market. Each neighbourhood has a typical benchmark home. CREA, in addition to providing average home price data, also releases MLS home price index data for five major markets: Greater Vancouver, the Fraser Valley, Calgary, the Greater Toronto Area and Montreal. Sixteen additional markets are slated to be added in the future. "If you really want an accurate measure of what's going on with home prices, you've got to keep the quality of the homes constant," says CREA's Klump. "That's what the [MLS home price index] does. It compares apples with apples over time. It's not subject to a change in the sales mix the way average and median prices are." What difference do the different approaches make? In Vancouver, for instance, the average selling price in June was $701,141, down 13.3 per cent from last year. But using the MLS home price index methodology, Greater Vancouver prices actually rose year-over-year by 1.7 per cent. This method of tracking home prices looks at how the price of the same house changes over time, so that only properties with at least two sales are entered into the mix. The assumption underlying this process is that each selected property's overall quality remains constant. Given the high rate of renovations, that can be problematic, but the statistical models attempt to account for that. The Teranet-National Bank home price index is the best-known example of the repeat sales method in Canada. "The statistics work out the problem that not every house sells every year," says Somerville, who uses data from both the MLS and the Teranet-National Bank home price indices to track market trends. In the U.S., the widely tracked Case-Shiller home price index uses the repeat sales method, too. Somerville cites a couple of other indicators to track housing price trends. The Royal Lepage house price survey is a quarterly look at seven types of housing in dozens of neighbourhoods across Canada. The values are estimates of fair market value in each of the surveyed locations, based on local home price data and knowledge of local housing market conditions provided by Royal Lepage real estate agents and brokers. "In theory, it should be problematic, because it's a survey," says Somerville. "It's not based on actual data. But it moves very well with the higher quality statistical data." Some market watchers also look at the sales-to-new-listings ratio. Currently, it's at 51.7 per cent nationally and has been trending down. Anything over 60 per cent is considered a sellers' market, with anything below 40 per cent being a buyers' market. Somerville also looks at sales activity. "Changes in sales tend to lead market conditions," he says. "So when sales are declining, that's the best sign of a weakening market, although price declines don't have to follow. You can get prices flat-lining; they don't have to decline." Currently, the number of sales in most markets in Canada is slowing. Overall, CREA reports 4.4 per cent fewer sales in June than a year earlier. At the same time, year-over-year prices aren't retreating in most markets, at least yet. But the recent tightening in mortgage regulations could change that and it could show up as early as August, when sales and price figures for July are released. "We do anticipate that some first-time buyers will be priced out of the market," Klump says. These days, the operative words among Canadian housing market watchers seem to be "slowing" and "cooling." "The cycle of eroding affordability followed by softening home prices has begun in some regions and will be felt in many parts of the country by year-end," Royal Lepage CEO Phil Soper forecasts. "Home prices cannot grow faster than salaries and the underlying economy indefinitely." Somerville says that of all the housing markets in Canada, Toronto is the one that bears watching. 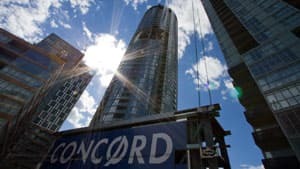 "If I was concerned about a market, I'd be more concerned about Toronto, because the level of building activity has been very, very high there," he says, referring to the the boom in condo-building. "You see supply levels being very high by historic standards in terms of construction," he says. "I'm not saying things have to go sour; I'd just be more concerned [about Toronto] than elsewhere."